These beans are easy, and they make a delicious side dish, great for tailgating, indoor or outdoor barbecues, and potluck dinners. 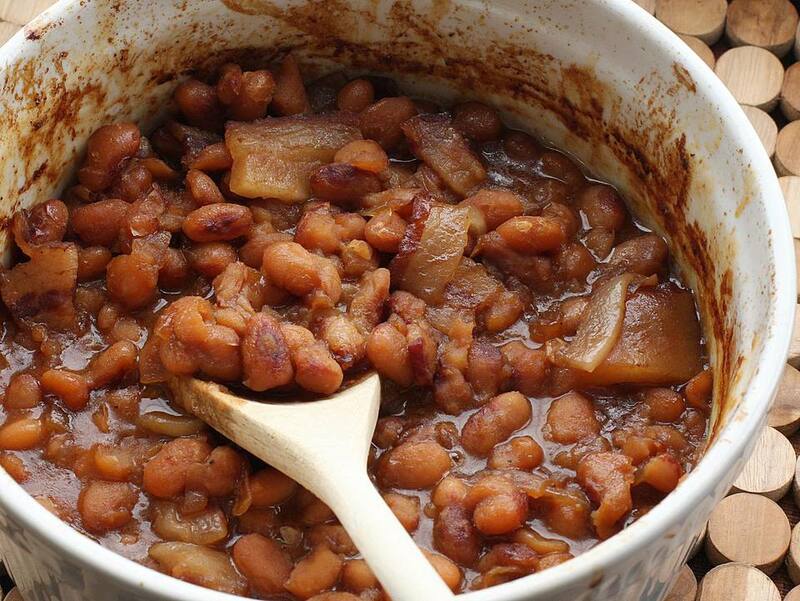 Mix pork and beans, bacon, brown sugar, mustard, and barbecue sauce. Bake, covered, for about 1 hour at 350°.